In its presentation of the new Golf Cabriolet at the 81st Geneva International Motor Show, Volkswagen is writing a new chapter of a global success story. 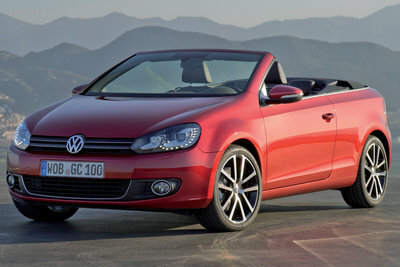 The four-seater has an innovative soft top with an electro-hydraulic drive that opens the Golf's top in just 9.5 seconds. The new Volkswagen's styling follows that of its hard-top three-door counterpart, but it shows a high level of independence with a new rear section, lower profile roof line and more...Read.